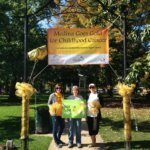 For the second year in row, in recognition of Childhood Cancer Awareness Month, the City of Medina went Gold for Childhood Cancer Awareness by decorating the perimeter of the Medina Square gold from September 15 – 17, 2017. 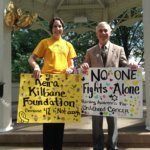 Co-sponsored by the Keira Kilbane Foundation and Camp Quality Ohio, this awareness campaign was introduced by Mayor Dennis Hanwell at the Gazebo in Medina Square on Friday, September 15th. 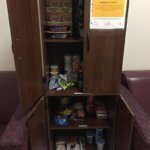 Additionally the Keira Kilbane Foundation and Camp Quality Ohio sponsored a toy and non- perishable food campaign from September 15 – 30, 2017. 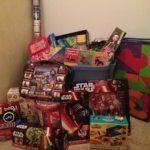 The toys and food items collected were donated to the Pediatric Cancer Inpatient Unit at UH Rainbow Babies & Children’s Hospital in early October 2017. 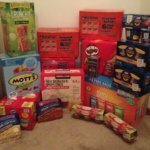 Thanks to the generosity of the people around Medina and all of our wonderful supporters this campaign was a wonderful success. 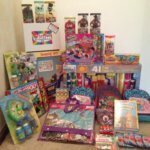 We were able to collect what we would value at approximately $1,000 in toys and food. Several local businesses in the Medina area served as collection points for the campaign. Participating businesses include: Ann Gregory Decor, City of Medina – City Hall, Cool Beans Cafe, Astro Computers, The Book Store & The Handmade Marketplace, Hello Beautiful Salon and Spa, Gold Card Services, Medina County District Library, and St. Francis Xavier Catholic Church.